Kim became a Financial Advisor in 1996 after 14 years in the television industry. She was inspired to help others pursue financial goals when she worked as the General Manager of a local television station. She realized that she and her husband lacked the time to handle all the details of their investment portfolio and that they were missing a cohesive investment plan. Kim’s desire to understand a client’s family dynamics, financial goals and concerns allows her to structure and manage investment plans customized for each client. She believes that asset allocation, diversification, rebalancing, and proper assessment of risk are the core pillars to a strong investment plan. Her client relationships often span several generations and she welcomes the opportunity to coordinate estate and trust details with a client's CPA and/or Attorney when appropriate. Kim is a firm believer in our community. 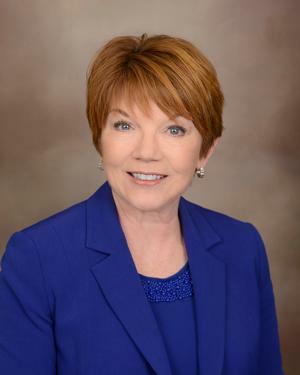 She currently serves on the boards of Wesley United Methodist, Women United, The Siouxland Estate Planning Council and is a Trustee for the University of South Dakota Foundation. Kim has been a regular contributor to the financial reports in the media and has volunteered her time teaching investment classes. Over the years, she has served on the board of directors of Ronald McDonald House Charities of Siouxland, Council on Sexual Assault and Domestic Violence, Leeds-Hawthorne PTA, Mid-Step Services, Alpha Xi Delta Alumnae, Women's Association of Financial Consultants, The University of South Dakota Alumni Association, Sioux City Community Schools Foundation, Mercy Health Foundation, and Siouxland Professional Women’s Network. She has also volunteered for the United Way, Junior Achievement, Midwest Volleyball Power Club, the Sioux City Chamber of Commerce, and Boy Scouts. Kim has a B.S. degree in Business Management from the University of South Dakota. She and her husband, Kal, have two grown children. She enjoys spending her free time with her family, visiting her children, and traveling.